I don’t just read old children’s books. I am interested in new ones too, I just can’t afford them as easily. And that is one reason why you should join YOUR LOCAL LIBRARY so you can read books for FREE! This book is different to any other I have seen, and is sure to prompt a conversation with any child you read it to. It is the story of a boy named Bailey, who does not feel like a boy and dreams about designing dresses. Not just any old dresses, but spectacularly fabulous, extraordinary dresses. My favourite is the window dress pictured. The messages about acceptance are not subtle, and at times the tone can come across as a bit self-righteous, but this is a minor complaint. 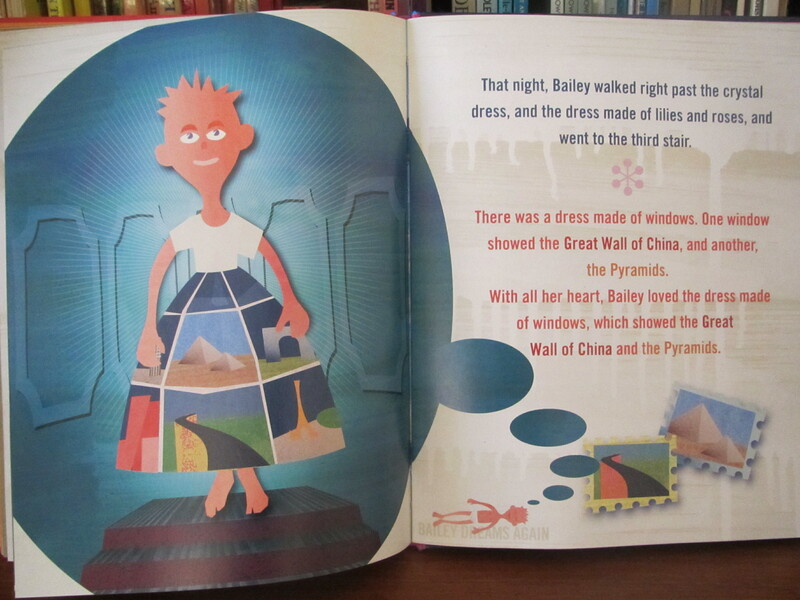 This book is as unique as Bailey’s dresses. I think this book could spawn a series: 10,000 Shoes, 10,000 Bags, you get the idea. Hi Trish, Your blog is gorgeous! I love how you are combining the library scholarship stuff with the quirky librarian fashion side. I will definitely keep visiting for the children’s book recommendations – beautiful retro images. Thank you very much, I really value your opinion. This blog should be worth a few extra votes for Barrack. He can thank me later. This is Marcus Ewert, author of 10,000 Dresses. Thank you for your kind review of my book. And also – may I just say?- I dig that dress you’re sporting! OMG! Apologies for abbreviating, it’s the internet. 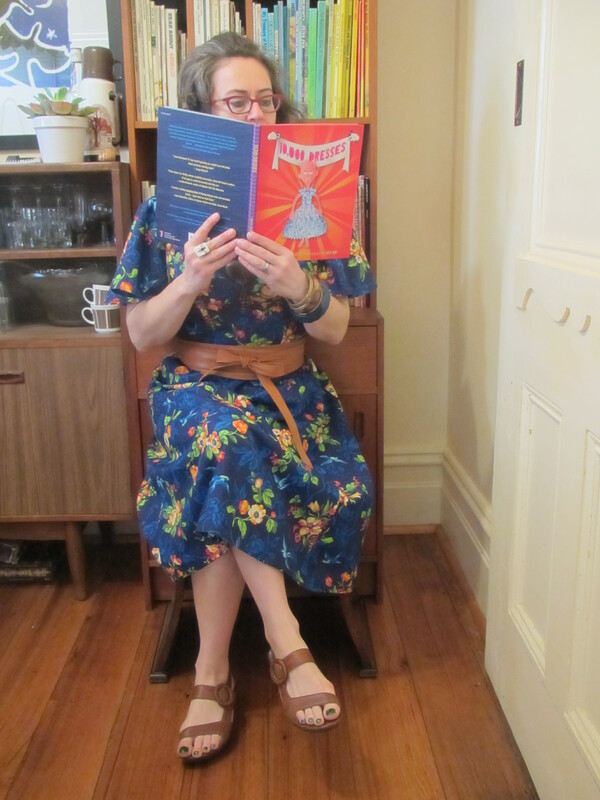 You can’t just wear any old thing when showcasing this book. Thank you for saying hello. All the best to all the Baileys, it’s tough out there, you have made it a bit easier.